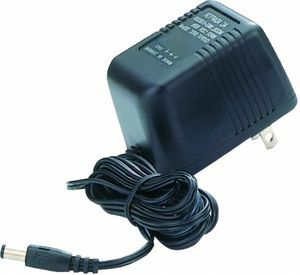 The ingenious HCPowerPlus, a DVR built into an AC Adapter, is the perfect covert video recording system. This covert system includes a 4 GB SD card, USB cable, RCA output cable and remote control that provides greater control over resolution and motion sensitivity. The camera is built into the AC Adapter itself, providing power while remaining covert. We left out no detail in this invention. Capture high resolution video using motion or remote control activation. When using motion activation, the camera will record for an interval of time every time it detects motion. This model gives you the option to choose between 1, 3, and 5 minute recording intervals. It also comes with a programmable time and date stamp you can show exactly when your evidence was gathered. 30 Second set up and you're ready to go. Since the whole system is powered by the power plug, you'll have no concerns about running out of power. Footage is stored to a removable SD card, giving the option of exchanging the card— leaving the unit in place to continue surveillance and while you review the evidence you have.